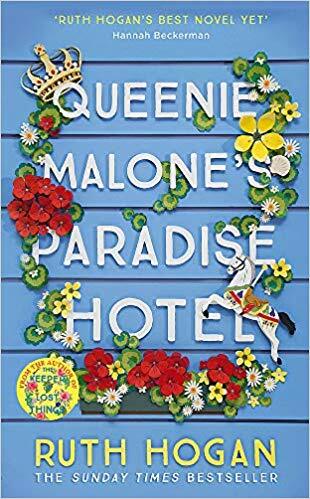 LONDON, 1986: Bequeathed an old portrait by her grandmother, Kate Darling begins to unpick the tapestry of her family’s secret history in a journey that takes her to Corsica, Paris and back to the heady days of the Roaring Twenties where it all began. PARIS, 1939: Alice Eversley and Thomas Stafford meet once again in the City of Light. Tom is now a world-famous artist, Alice is much-changed too – bruised from the events of the last decade. Perhaps they can lose themselves in the love story that ignited by a moonlit lake all those years ago? 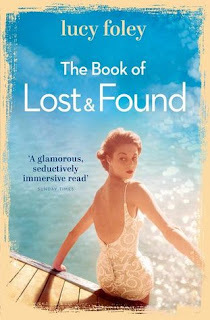 Review: I love epic stories that go beyond generations, wars, distance, secrets and any other obstacle imaginable and The Book of Lost and Found is one of those, a brilliant one at that. As soon as I met the characters of this novel I wanted to know everything about them. We have an art student now working in a photo studio, an old painter who now lives isolated from the world in the island of Corsica, a tormented young man and an old woman who with too many regrets and secrets. And you might wonder how are they all linked? Well, it all starts when the young Kate Darling discovers an old photo of her supposed grandmother. She never knew about her as her mother was adopted and never met her own mother, but something about her makes Kate want to know who she was and what happened to her all those years back. From that moment we follow Kate in her journey of discovery, a journey full of missed chances, secrets, misfortunes and sorrows but also love, passion and bravery. I think Kate was not prepared to discover it all and neither was I, it completely swept off my feet and I found myself glued to the pages of this book wanting to know it all, at once. The book alternates chapters from the past (thirties and forties mainly) and the present (the eighties), with different points of view. We learn about Kate's grandmother's story, a story I found fascinating. That woman went through hell and back and was still left standing. I found her bravery and purposefulness admirable and even if I didn't agree with all her choices, I completely respected them. I ended up being an unconditional fan of that woman. And as both past and present started entwining with each other, I found myself holding my breath. Could there be any better sign that you are enjoying a book so much that you completely lose yourself in it? This beautifully written and deeply moving tale will capture your hearts from the first page and my warning is: be prepared for one of those colossal book hangovers after finishing it. I can tell how much you loved The Book of Lost and Found Alba. I must admit it's been on my Kindle for ages (ducks head). Looks like I really shouldn't be forgetting this one!